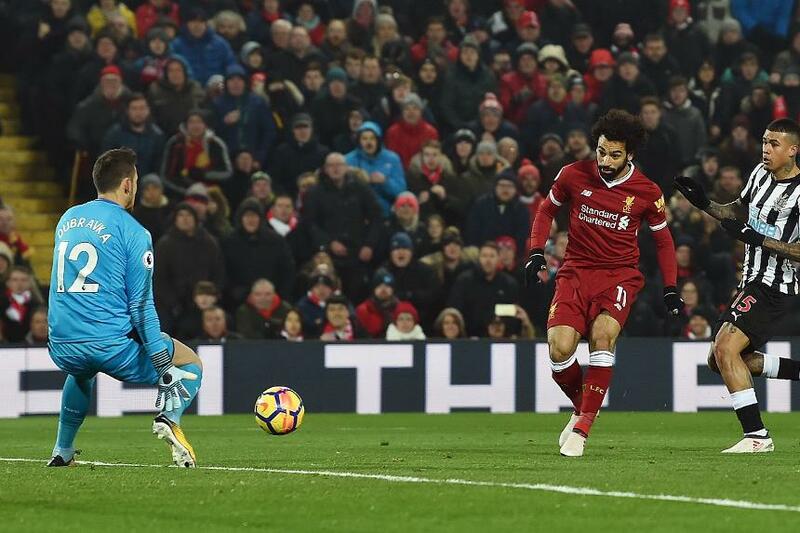 Goals from Mohamed Salah and Sadio Mane lifted Liverpool to second with a 2-0 win over Newcastle United. Salah broke the deadlock on 40 minutes, Alex Oxlade-Chamberlain playing him in to score for his seventh consecutive match in all competitions. The strike also took Salah level with Harry Kane on 24 goals in the race for the Premier League Golden Boot. Loris Karius kept Liverpool's lead intact, turning Mohamed Diame’s effort wide just before the interval. Mane made it 2-0 on 55 minutes from Roberto Firmino's delightful through-ball. Liverpool move a point above Manchester United, who play Crystal Palace on Monday. Newcastle lie 16th, two points above the relegation zone.